Some softwares are just too fun to be let go off and this weekend I discovered Stellarium, a free, open source planetarium software that shows a “realistic sky in 3D”. 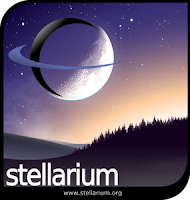 Stellarium is designed from ground up as a simple, easy to use, open source software to observe and learn about the breath taking beauty of the night sky. This weekend, I happened to be visiting a village in rural Mardan, Pakistan (where we are supporting a rural Tele-healthcare project). The electricity in this remote part of the world is patchy and highly unreliable. Mardan District is composed primarily of a farming community and little or no industry and technology in this rural part of Pakistan. Hence, the night sky is not only clear but dazzles with the beauty of billions of stars. In fact, on a clear night, one can see the Milky way all across the night sky. Tonight was just one such nights, when the electricity, went out, the night sky lit up brightly with its displaying its full array of stars. The moon was at half crescent and thus it blurred a bit of dim stars out there, but over all, it was a feast for the eyes. The software asks you to select your city through its fairly simple configuration file. And if your hometown is missing (in my case Mardan was not there), one can enter the basic information like the Latitude, Longitude and height in meters above sea level and the software then automatically sets itself to the night sky in your area. It then slowly tracks the night sky as it changes with time so that the observer is always objects slowly rise and set over the night sky. I trained my Stellarium on the planets first. Tonight, Saturn was visible in the night sky. With the help of a basic compass and the Stellarium software, I was able to pin-point the magnificent planet Saturn with some fairly good accuracy. This was the first time I had identified any night sky object with accuracy. And the best part was that I did not have to know a lot about Astronomy nor the need to have complicated equipment. The software is designed to be easily operated by a kid as well and requires little or no prior knowledge of Astronomy. All night, I would simply find something interesting on Stellarium and then using the provided grids, a hand held compass and using other known stars as references, would get to the desired object. One can zoom in and out of the objects (planets, nebulae, etc) and some of them do have fairly detailed images and information associated with them. If any detail is missing, one c an always download it from their website and add it to the catalog. For example, if I would find something of interest in the night sky, I could get basic information including a detailed image of the object. Here in this image on the right, I got to see how Butterfly cluster looks like at close proximity and how far away it is from earth. For example, Saturn here is reported to be 8.5AU (Astronomical Units). 1 AU is equal to approximately 149.5 Million KM or in simple terms, 1AU is equal to the average distance between the earth and sun. Hence, Saturn is approximately 8.5 times farther from earth than the Sun from us. That is approximately 1.2 billion KM from earth. Extra catalog with more than 210 million stars (easily downloadable through the Stellarium website). The additional data is divided into further four separate files totaling around 1Giga Byte. The joy was short lived as the power was restored later in the night. With the light pollution dimming many of the stellar objects in the night sky. However, this unexpected power outage has inspired me to spend the coming summer gazing at night sky with some basic telescope and track numerous objects in the night sky. There is also a method to link the software with your telescope (if it supports computer tracking) which one can read online for more information. The software can be easily downloaded for MacOS, Windows and Linux platforms. It is also available through Ubuntu repository of pre-compiled software packages. Every organization these days produces lots of electronic documents. Even a one man home office will generate enough files in various formats (including Office and PDF formats) over the course of the year that it will become a nightmare just finding the right file in the nick of time. KnowledgeTree, Document Management System, is web based and therefore easily accessible from across the organization without the need to install any client software on users machines. It supports multiple users within groups with proper permissions and role definitions. It allows for easy upload of documents including support for bulk upload through a one large zip file. There is support for search within all the popular file formats as well. Email alerts can also be generated on various criteria including when a document is available to be viewed by the group. The software supports an organization work flow and even generates it automatically on specific folders and document types. The document’s are version controlled to minimize overwriting of documents when shared within a distributed environment. The software now is supported across various platforms including Linux, Windows and even Mac. There are installers for each of these platforms (yes even for Linux a self installing binary) which guides you through the whole process with little or no glitch. Source code version is also available for those who prefer to tweak install it based on their own requirements. I used the binary to install it on my Ubuntu Linux computer. The installation went smoothly but I ran into a small problem. It forced me to install a separate copy Apache and Mysql (on custom ports) for this software and did not give me an option to integrate it with the existing Apache and Mysql running on my machine. With the result, now I have two instances of each running on my machine on different ports. It would be nice if the installer gave us an option to choose whether we prefer to integrate and run one instance of each or not. KnowledgeTree document management system is definitely the right choice for not only large corporations but even for Small and Medium Enterprises. It will greatly improve the organizations productivity and easy of share of knowledge within their organization. Specify as many directories as you want by separating them with com ma across your network. Elisa website mentions lots of features including support for remote controls and touch screen. There are even ports available for Windows and MacOS platforms along with Linux. You may have heard that Linux machines do not need an anti-virus software. That may be true generally, but what if using our USB flash drive on a public computer and inadvertently copying a virus onto our system? Granted, the virus may not work on Linux but what if we inadvertently forward that file to a friend (with Windows) and send the virus along. What if we still use POP to access our email and get a virus infected email that we forward to others (along with the virus)? To overcome such issues, especially shared USB drives, ClamAV is the simple but ideal solution. It is still command line so one has to power up their Terminal (or ssh if you prefer to remotely manage it) to run the software. Once installed, just type the following on command line to fire it up. where -r option lets u scan recursively in your specified /home directory. You can find out other options by typing clamscan –help on command line. Once the scan is complete, it prints out the result in a neat report. Similar to the one I got from scanning my /home folder. The software keeps its virus database up to date automatically by using freshclam to download the latest definitions. 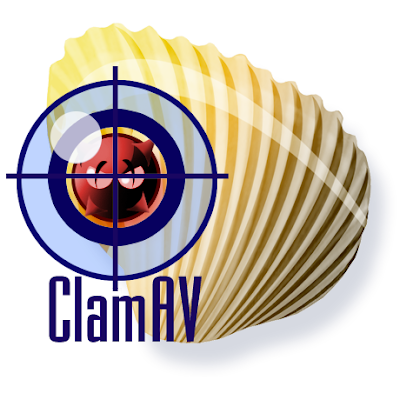 Freshclam is automatically installed with ClamAV. So my advice is to keep this software handy especially when you are copying files back and forth from a public PC.